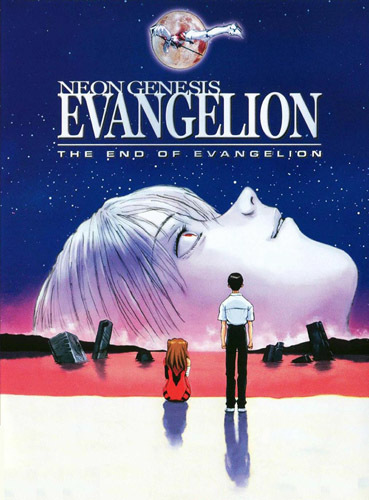 Plot Summary: The end of the Neon Genesis Evangelion left many questions as to the fate of NERV, the Children, the Angels, and many other plot factors unanswered, unexplained, or otherwise hanging. To answer a legion of now befuddled Evangelion fans, Gainax remade the ending into a two-part movie known as Death and Rebirth which was to supersede episodes 25 and 26 of the television series, which then led to this movie, Death and Rebirth itself being recreated into part one of The End of Evangelion. It begins much in the same fashion, with the final Angel already having been defeated, and the current enemy switching to humanity itself as SEELE unleashes its own plan for the Evas and NERV... and indeed for the entire human race. What role will Shinji play in this ever-tense situation, as NERV gets chewed to pieces by SEELE's crack commandoes? Will Gendo's plan swallow up all of humanity? Will Hideaki Anno ever figure out how to end an anime? These questions and more will be answered in what looks to be the final installment of Evangelion. But at what price?